Edward E. Smith was the William B. Ransford Professor of Psychology at Columbia University, the Ransford Professor of Psychology (in Psychiatry), and the Director of the Division of Cognitive Neuroscience at the New York State Psychiatric Institute. In Psychology, he directed the Cognitive Neuroimaging Lab, one of five member labs of Columbia University’s Social, Cognitive and Affective Neuroscience Unit (SCAN Unit or SCAN-U), a collaborative effort to understand the psychological and neural basis of cognition and emotion. Ed was one of the world’s leading cognitive psychologists and cognitive neuroscientists. He conducted important research on working memory, word perception, semantic memory, concept use, reasoning and the neural basis of cognition. His ground-breaking research on knowledge representation was punctuated by his classic 1981 book with Douglas Medin on categories and concepts, but the punctuation mark really was a comma, as both before and after, Ed was responsible for many additional significant theoretical and empirical breakthroughs, often in collaboration with scholars such as Lance Rips, Ed Shoben, Dan Osherson and Eldar Shafir. He further extended this work to deal with important questions concerning induction, reasoning, and probabilistic judgment. Ed’s cognitive neuroscience work is similarly wide-reaching, highly original and important to both theory and application. 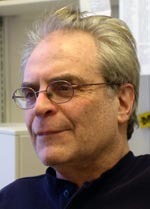 His research on working memory, often in collaboration with John Jonides, for example, established separate neural networks for spatial and verbal working memory, as well as laying out the temporal dynamics of working memory. Just a hint of Ed’s breadth is evident when one notes that he studied a wide variety of populations, from college students to older subjects to subjects with Alzheimer’s dischizophrenia, and frontal lobe impairment. He studied the process of learning and assigning novel objects to categories (suggesting that there are two distinct systems of categorization), even when we may not be aware that we are doing so, and the impact of placebo pills on neural activity in the brain’s pain centers. Ed’s impact extends far beyond cognitive psychology and cognitive neuroscience. He was a bridge to almost all the other subdiscliplines of psychology—social, clinical, personality, developmental and education—and he collaborated with colleagues in each of these fields. Moreover, his conversance with psycholinguistics, artificial intelligence, and epistemology allowed him to have an impact far beyond psychology. It is no accident that Ed served on the Editorial Boards of the Harvard University Cognitive Science Series and MIT Cognition and Cognition Series, just when the field of cognitive science was developed, nor that he was one of the first Editors of the journal Cognitive Science. Ed was a dedicated and hugely successful teacher of both undergraduates and graduates and mentored some of the finest cognitive psychologists we have. He was an author on one of the most successful Introduction to Psychology textbooks in the field and edited a number of textbooks intended for graduate students. In recognition of this wide body of work, Smith was the recipient of the 1999 APS William James Fellow Award as well as the 1997 APA Award for Distinguished Scientific Contributions. He was elected by the National Academy of Sciences and the American Academy of Arts and Sciences and served as Chair of the Governing Boards of both the Psychonomic Society and the Cognitive Science Society. * The FABBS Foundation would like to thank Drs. Douglas L. Medin and Elke U. Weber for nominating Dr. Smith for this honor and for leading the effort to spread the word about his nomination. Would you like to honor Edward Smith? It isn’t too late to have your name added to the list of donors! You can make your donation to Dr. Smith’s In Honor Of… campaign at anytime.